Intel plans to become a leader in wireless and will ship its first multimode LTE processor later this month as part of that drive. The XMM 7160, a modem chip for mobile devices, can be equipped to work on as many as 15 LTE spectrum bands as well as on 2G and 3G networks. Multimode capability between 2G, 3G and 4G is a necessity for smartphones because most operators with LTE still rely on older technologies in parts of their service areas, and for voice calls. Intel discussed the chip earlier this year but announced on Monday that it will ship this month. Intel is still an underdog in the mobile industry but sees itself as one of just a handful of potential rivals to the dominant Qualcomm. At the core of Intel's mobile device push is the former Infineon wireless business, which it acquired in 2010. While Infineon was a "fast follower" in mobile, intentionally timing its products for when commercial volumes were starting to ship, it's been moving toward market leadership since the acquisition, said Hermann Eul, vice president and general manager of Intel's mobile and communications group. "For us, it is the clear strategy, the clear plan, to go into a leadership position, and we are currently in the transition to do that," Eul said. He spoke on Monday at a press and analyst briefing at Intel headquarters. Intel painted itself as a force that can make the mobile chip industry more competitive and help to drive technology forward. Device makers, mobile operators and other players are counting on that, according to Aicha Evans, vice president and general manager of wireless platform R&D. "This is the first time that I've been at Intel working at anything, that the industry is actively rooting for us to succeed ... because of diversity in this market," said Evans, who has been at Intel for seven years. Qualcomm already sells multimode LTE chips for a large number of bands, but Intel claims the 7160 has a performance edge over the competition. It's 12 percent smaller than rival products and consumes 20 percent to 30 percent less power, the company said. Support for multiple LTE bands is important because there are about 40 different spectrum bands allocated for the high-speed mobile data system around the world. Phones may need many different bands in order to allow international roaming on LTE, and being able to pack in many frequencies can also save device makers money. With the 7160, a device maker could have a single chip for phones sold all over the world, said Thomas Lindner, senior director in the mobile and communications group. The 15 bands that it can support are not set in stone but can be configured for particular manufacturers, he said. The first iteration of the 7160 will be equipped for so-called Category 3 LTE, with throughput as high as 100Mbps (bits per second). An updated version shipping by year's end will offer Category 4 LTE, which can go as high as 150Mbps. Speeds for individual users won't match those maximums, but each advance should mean better real-world performance. The second version of the 7160 will also support VoLTE (voice over LTE), which will let carriers shift voice calls from their 2G and 3G systems onto what are now data-only LTE networks. The chip could also be set up to support TD (time-division) LTE, a form of the technology that Sprint, China Mobile and other carriers plan to use. Whether Intel implements TD-LTE in the 7160 will depend on demand from operators, Evans said. In parallel with the 7160, Intel has been developing the XMM 7260, which is due to ship in the first half of next year. The 7260 can support carrier aggregation, an emerging LTE feature that lets operators combine two separate spectrum bands into one for higher performance. 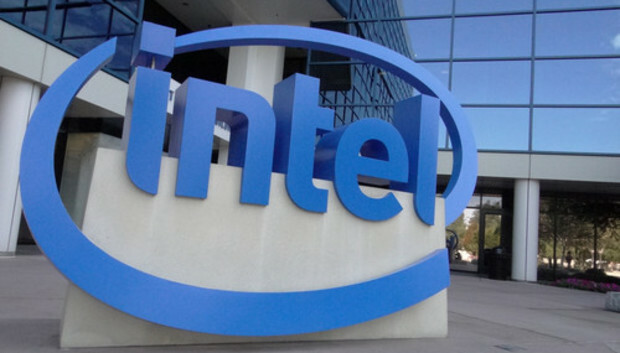 On Monday, Intel demonstrated carrier aggregation on a 7260 evaluation board built at its new design center in San Diego, Qualcomm's hometown. The 7260 also will include TD-LTE. Intel has a major potential advantage over wireless rivals in the form of its advanced chip design expertise and private foundry capacity, said analyst Jack Gold of J. Gold Associates, who attended the event. This is the chipmaking operation that churns out smaller, faster, more efficient microprocessors on a steady schedule. Qualcomm, by contrast, relies on outside manufacturers. The former Infineon wireless business is still relying on TSMC (Taiwan Semiconductor Manufacturing Corp.), but Intel expects to bring its own chipmaking assets to bear on the wireless business within two to three years, Evans said. The sooner it can do so, the more benefit it can gain, Gold said.